Cleftune is the the first community of students and personal music teachers. It is an online platform that allows students to easily filter, find and connect with personal music teachers in their local area. Students can connect with teachers based on their personal requirements and learning objectives through an intuitive and user friendly navigation experience. If you want to learn more about Cleftune.ca Service, visit our About Us page. 1. Go to cleftune.ca and select Sign up on the top right corner of the screen. You have the option to sign up with your Facebook, Google account or email address. 4. Click on Sign Up. Congrats, you’re all set! If you need help setting up your account simply navigate to the bottom of this page and submit your request. We will process your request as soon as possible! How can I edit my account, password and or email address? 2. From this page, you will be able to confirm your user information, update your email address and change your password account. Remember to click on Save Changes after updating your information. 1. Click on the Profile Picture secondary menu heading. 2. Click on Choose File and select a picture from your computer that you would like to use. The recommended dimensions are 400 x 400 pixels. Press Upload and see how your picture looks in the thumbnail section. 3. Once you have uploaded a photo you will see the thumbnail of your picture. If you are not happy with the result, press Remove Image and then click on Update Profile to completely remove the photo. If you need help editing your account simply navigate to the bottom of this page and submit your request. We will process your request as soon as possible! We recommend adding your address for a faster checkout experience. This will make it easier to book lessons in the future. Click on the Address button, located in the secondary menu heading. Remember to save your changes before you go to a new page! 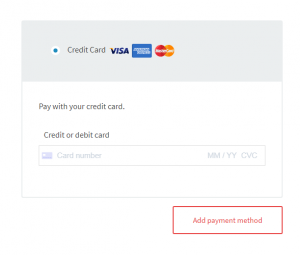 We recommend adding a payment method for a faster checkout experience. This will make it easier to book lessons in the future. Click on the Payment Methods button, located in the secondary menu heading. Remember to save your changes before you go to a new page! 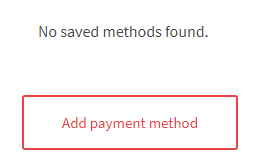 If you do not have a payment method saved, click the Add payment method. Enter your credit or debit card information then click Add payment method. Simply click on the Delete button on the right hand corner of your credit card information. How do I contact Cleftune support? Navigate to the bottom of this page and submit your request. How do I unsubscribe from Cleftune emails? if you are a student follow this link, enter your email address, and select unsubscribe. if you are a teacher follow this link, enter your email address, and select unsubscribe. Note: Opting out of marketing emails will not opt you out of transactional emails like booking confirmation emails. Where does Cleftune service operate? Cleftune currently only supports teachers in Canada and United States. As our community grows we will look to expand into different countries! What services does Cleftune offer? Lessons at Home: Book lessons at your own home and the teacher will come to you. Lessons Away: Book lessons at the teacher’s preferred location. Finding the right teacher will be very easy. Browse teacher profiles, read reviews from other students and contact multiple teachers who seem like a great match. You will be able to schedule a meeting to learn more about them. If you both agree it's a good fit, book and pay through Cleftune. Your ideal teacher is waiting for you on Cleftune! Note: To book lessons for a person under 18 you must be their legal parent or guardian. You will be required to upload the required verification during the account set up that pertains to you. A legal parent or guardian of the student must be present at the lesson at all time. 1. To book a teacher first choose the instrument you are thinking of learning. 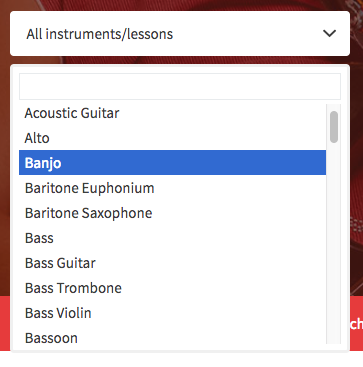 You can choose from the pre made list or simply type the instrument name in the search bar. 2. 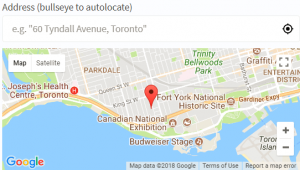 Enter your address or click the red bullseye to automatically find your location. 3. Click the Search button and it will take you to a screen showing all the teachers in your surrounding area. For the most accurate matches always search by your location and instrument or lesson type. 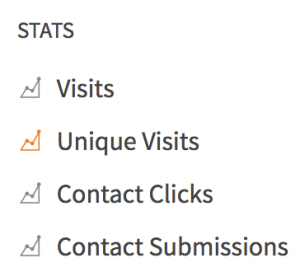 We have created different filters to help refine your searches. Keywords: If you are looking for a specific style of music or teaching style you can search it here. Example searches are “Jazz music” or “Songwriting”. Classes Morning, Afternoon, Evening: Click on the option that best suites the time that you are looking to take a music lesson. Lessons for Kids: Choose this if you are booking a lesson for a student under the age of 18. Lessons In-home: Select this if you want the teacher to come to your house. Sometimes there is a premium charge for this option. Level Beginner, Intermediate, Advanced: Pick your instrument skill level to help find teachers who would benefit you the most. 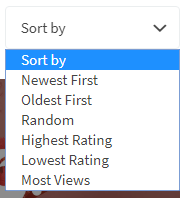 Use the Sort by feature to organise your search results under the following options. Once you have found 2-3 music teachers who you think may be a good match, we recommend messaging them first. This will help you find the music teacher who you are most comfortable with. Now is a good time to talk about your goals, passions and what you hope to gain by take the lessons. To contact a teacher, on the top right hand side of their profile page will be a Contact button. Fill out the form and your teacher will get back to you as soon as possible. Where can I find the teacher cancellation policy? At the top of any teacher profile page you can find the cancellation policy. Each teacher will have a different cancellation policy. Make sure you review and understand the different types of cancellation policies before booking a lesson. You can find the different types of cancellation policies here. Where can I find teacher reviews? If a teacher has any review, it will be at the bottom of their teacher profile page. Reading reviews left by students the teacher has taught is a great way of learning more about other people's experience! How can I book a music lesson with a teacher? Before booking a music lesson with a teacher, first make sure to check out their verified reviews and cancellation policy. Now that you have found a music teacher you can click the Book Now button at the top of their teacher profile page, which will take you to the Booking area. 1. Select the date of your lesson. 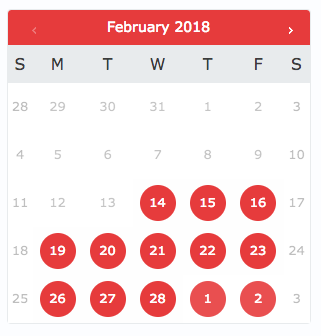 If a date is highlighted in red it means that the teacher is currently available for that day. 2. Select the time of your lesson. Choose your preferred time among the available options. Students Age. Choose if you are booking for a person under the age of 18 or for an adult. Course Length. Using this feature you can choose to add multiple bookings at one week intervals based on the time and date that you previously selected. 4. Choose the duration of your lesson. Teachers pre-set the minimum duration of a lesson. If you want to extend the duration change the set amount. For instance, if the teacher has their lessons set to 30-minute intervals and you want to book a lesson of one hour, change the duration amount to a quantity of 2. 5. Adding a lesson. Once you have filled out the required information click the Add Lesson button. You will be directed to your cart where you can see all the bookings that you have currently added. If you want to add more lessons to your cart, press the Continue Booking button located at the top of the cart page. This will take you back to the previous teacher profile page where you added a lesson to the cart. 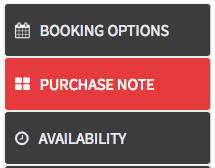 If you are happy with the details of your booking, please click the PROCEED TO CHECKOUT button. It will take you to the final checkout page. 6. Complete Booking. If you are not signed in, click on Sign in now or use your social media accounts for a faster login or easy registration. If you do not have an account, you can either click the Sign Up button at the top right of the page or simply book a lesson as a guest. Now you can proceed to complete your booking information. Create an account. You may find the option to create a Cleftune account in case you haven’t done it yet. 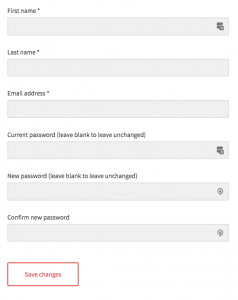 To do so, simply tick the checkbox and add your new username and password account. Additional Information / Booking Notes. If there is any information that you feel your teacher may find useful enter it here. Examples of additional information may include: instructions for your address, age of your children or any other special needs. Cleftune Service Fee. A flat rate of $1.25 will be charged per transaction. Service fees allow Cleftune to operate. This fee is only charged if the request is accepted. It's refundable in the case of a cancellation. Choose a payment method. 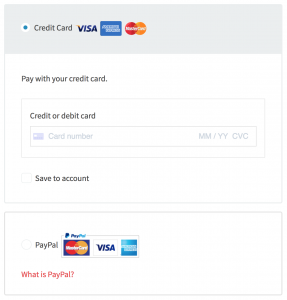 You can either pay with debit/credit card (here you must add your card information) or pay with your Paypal account (in this case you will be redirected to the Paypal site as soon as you complete the following steps). What is Paypal? If you are paying using your credit card or debit card press the PLACE ORDER button. If you are paying using PayPal press the PROCEED TO PAYPAL button. If you choose to pay through PayPal, you will be redirected to the paypal site. If you have a PayPal account, you can log in now. If you do not have a paypal account that is fine! Press the Pay with a credit or Visa Debit card button. Once you have completed any of the payment methods you will be redirected to our Thank You Page and receive an email. Both will confirm your request to book a lesson from a teacher. If you do not receive an email, please check your spam folder. How can I book a lesson for multiple weeks/days? Multiple weeks. Once you choose your lesson duration, date and time you may see a dropdown menu allowing you to book for multiple weeks. 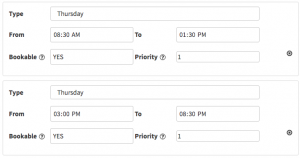 Using this will add multiple bookings at one week intervals using the time and day that you selected above. 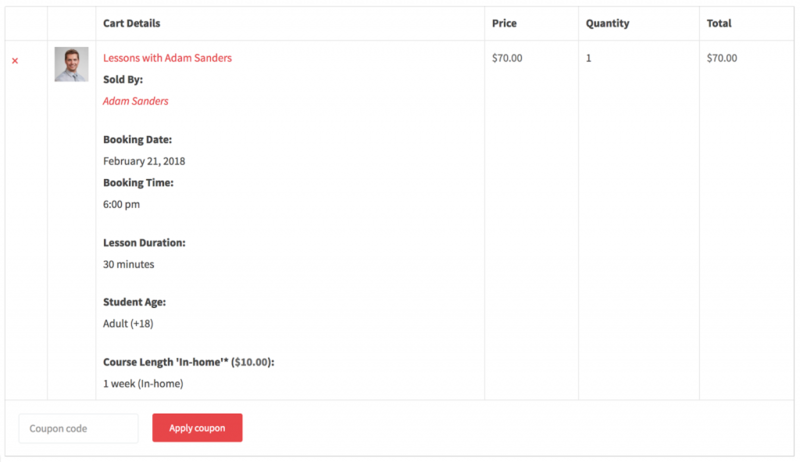 Example: Meghan booked a lesson with Adam Sanders on Monday, February 21st at 6pm. 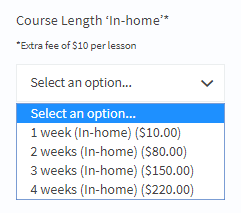 In addition, she choose from the dropdown menu to book lessons for a total of 4 weeks. She will receive a lesson every Monday at 6pm for the following 4 weeks, paying upfront for those lessons. Multiple days. If you want to book a lesson for a different day and/or time press the Continue Booking button located at the top of the cart page. This will take you back to the previous teacher profile page where you will be able to add another lesson. 1. Find 2-3 teachers who seem like a good fit. Select the Contact button on each Teacher Profile page to introduce yourself. Now is a great time to be clear and candid in discussing your personality, preferences and learning objectives. When you’ve discussed expectations and both agreed that it sounds like a good fit, it’s time for a in-person meet. 2. Schedule a meeting with the teacher you like. This is your chance to get to know a teacher in person. You can meet at your home, at the teacher’s home, or at a neutral location. 3. Book and pay through Cleftune. With fast, secure payments and easy student/teacher messaging, your booked lesson will be confirmed in no time, and you can relax, knowing you will start learning soon. Our dedicated team will do the legwork of finding a great teacher for you. Navigate to the bottom of this page and submit your request. What if a teacher isn't the right fit? Finding a teacher who’s the right fit is crucial for your learning objectives. You’re the best person to decide who the right teacher is for you or your children. Nevertheless, if you need our help, our dedicated team will help you finding an ideal teacher for you. Navigate to the bottom of this page and submit your request. How can I report a teacher? If you need to report a teacher scroll down on their Teacher Profile page and click on Report Teacher. 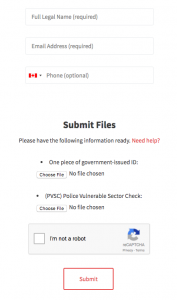 Fill in the form and press the Report button. At Cleftune we take our users safety and privacy extremely seriously. If you feel threatened, or if a teacher makes inappropriate actions, comments or violates the Terms of Service, report them immediately. If you feel they have broken the law, contact your local police department and then contact us. Does Cleftune provide singing and dancing lessons? Cleftune hosts many different types of teachers including singing and dancing teachers. We encourage you use our search filters to look for specific lessons to see if there are singing or dancing teachers available near you! Does Cleftune rent or sell instruments? Cleftune currently does not provide or rent instruments. We recommend you rent a musical instrument from a local music store or search you local classified ads to get one used! Only students that have booked a lesson can leave a review. Go to the teacher profile page who you took the lesson with. You can then leave a comment describing your lesson and telling others about your experience. You can upload any appropriate pictures you think may help other students with their decision. Click on the stars you think the teacher deserves for each teaching category. This is a guideline of how the star rating system works. Teaching Skills. How well did the teacher explain the lesson material, provided a comfortable learning experience and worked towards improving your music abilities. Punctuality. Was the teacher on time and prepared for the lesson. Class Preparation. Did the teacher have the teaching material planned for you. Did they provide you with practice material to take home. Price/Quality. How would you rate the price of the lesson compared to the value you experienced from it. What is Cleftune's review policy? We encourage all students who use Cleftune to leave accurate reviews of their teacher. If your teacher provides an awesome lesson make sure you post that on their page. It will help them get more business and continue teaching music to other students. Of course we prefer to read positive reviews, but we also want honest reviews. This will help potential students match with a good teacher. It also helps teachers improve on their teaching styles or presentation. Cleftune wants to ensure that our students are providing accurate reviews. We take any claim that does not follow our Review policy very seriously. An account that posts a review that does not follow our policy will be subject to a service investigation and could lead to an account being disabled or banned. Do not accurately represent yours or the teachers experience. Threatening, aggressive or discriminatory use of words. Providing specific or confidential information of a teacher (address, full name, or other information without permission). How can I redeem coupons or promo codes? If you have a coupon, you will need to add it when you are at your cart page. Simply enter it into the Coupon Code box and press Apply Coupon. Promotional coupons may also be available to add to your booking. The coupons can be found on your cart or checkout page. If you see an item similar to what is shown below, make sure you add it to your booking before completing your checkout. Why should I become a teacher on Cleftune? Becoming a teacher on Cleftune gives you access to a network of music students seeking quality instructors for their lessons. Enter here to discover all the tools and resources we provide to our teachers. Ready to get started? Start the process to become a teacher. Cleftune does not make profit on any transactions. Why is Cleftune free? Payment Gateway Fees. 2.9% + $0.30 CAD is charged to the teacher from the total amount of the booking to cover the costs of the payment gateways. More information here: Paypal, Stripe. Note: For international transactions from USD to CAD there is an additional 0.6% fee if paid with credit or debit card through Stripe and a 2.5% fee if paid with PayPal. Cleftune Service Fee. A flat rate of $1.25 CAD will be charged per transaction to the student. Service fees allow Cleftune to operate. This fee is only charged if the request is accepted and it's refundable in the case of a cancellation. Note: For booked courses longer than 1 month, $1.25 will be charged to the teachers from their monthly payment starting on the second month. As we continue to grow our community, we want to give our users the opportunity to try Cleftune before making a commitment. The bigger our community, the better service. We only want to hear your experience–seriously, we are craving for your feedback. As music students ourselves, the more feedback we receive means providing a better service for our users. If you like us, share Cleftune. Your are our best ambassador. The best way to grow our community is by letting our users share their experiences with their friends and families. If you like us, share Cleftune. You will be helping us grow the community and provide you a better service. To become a teacher, click the Become a Teacher button at the top of the site. On the new page you can find more information about the benefits of joining the first community of music students and personal music teachers. You can begin the process by simply clicking any of the Get Started buttons. 1. Create account. If you have not created an account on Cleftune you will be asked to do it now. Complete the sign up form or log in with your social media credentials. If have already created an account already simply press the Next Step button. 2. Setup your dashboard. 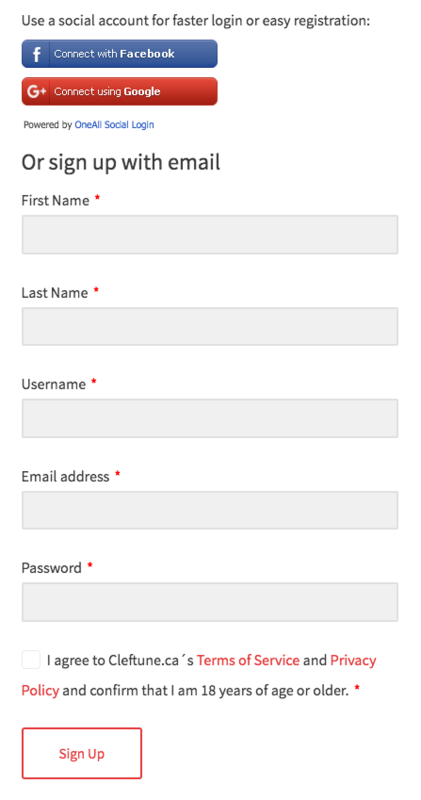 Complete the following form to gain access to your teacher dashboard. Here you will manage your bookings and offer your lessons. Make sure to press register once you have inputted the information. When this is completed press Next Step. 3. Add your profile picture. Click on Choose File and select a picture from your computer that you would like to use. The recommended dimensions are 400 x 400 pixels. Press Upload and see how your picture looks in the thumbnail section. 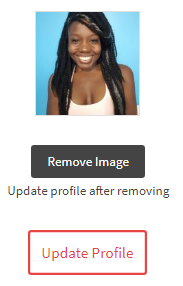 If you are not happy with the result, press Remove Image and then click on Update Profile to completely remove the photo. 4. Create your Teacher Profile. You must fill in the form. This information will appear on your teacher profile page. Teacher Name. Enter your name as you want it to appear on your teacher profile page. Address. This location will be used to find students close to you. If you push the bullseye, it will automatically pin your approximate location. Contact Email.Enter the email you wish to receive messages from students, booking submissions and any other Cleftune notifications. Teacher Region.You can search for your teacher region by typing your town or city into the dropdown menu. If you can not find you town or city contact us. Cancellation Policy. Select from one of the three standardized cancellation policies (Flexible, Moderate, and Strict) that we will enforce to protect both students and teachers alike. To learn more check out our Cancellation Policy page. Teacher Lessons. Select all the instrument that you would like to teach. If you can not find a lesson you would like to offer contact us. Teachers Features. To help students search for teachers we have created different filters to help refine their searches. Select all the filters that apply to the lessons you offer. Teacher Picture. Import the image you want to use for your teacher profile picture. Cover Photo. Import the image you want to use for your cover photo picture. Music Background and Credentials (Bio). Make your profile stand out from the rest. Include a brief description of your passion, experience, music studies, teaching style, etc. Phone Number. Your phone number will not be displayed on your public profile. Cleftune may reach out using your number or provide it to potential clients. We will always ask for your permission before sharing your personal information. Promotional Video. Attach a link to a personalized video. We recommend you post a short video talking about yourself and the reasons why you would make a great music teacher… and why not? A short clip showing of your musical talents! Preview. Click the Preview button to see what your profile page will look like to potential students! Edit/Submitting Teacher. Now is the time to review your portfolio page. Make sure the information is correct the pictures look good and you are happy with the overall layout. If you want to make changes select the Edit Teacher button. If you are happy with your profile page select the Submit Teacher button! Previous Step. If you need to go back select Previous Step. FAQs. If you need help check out our FAQ page. If you need help editing your teacher account simply navigate to the bottom of this page and submit your request. We will process your request as soon as possible! How can I offer and edit my lessons on my teacher profile page? To accept bookings, first you need to create a Teacher Profile Page. 1. 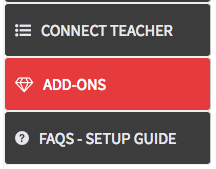 If you have already been approved as a teacher, login with your credentials and locate your mouse on top of you username located at the top right of the header menu. 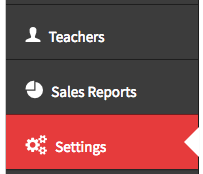 Now select the Teacher Dashboard option from your account menu, then Edit Lessons and finally click on Add New. 2. Enter a title, a picture and choose the currency of your lesson price*. We recommend you to use a name that defines your service (Eg. ‘Drum Lessons with Adam Sanders’) and the same picture you used on your teacher profile page. *ATTENTION: Choose the currency you want to use for your service (USD or CAD). By default $CAD will be selected. The average exchange rate is updated once a week taking the Canadian dollar as reference. 3. Click on the BOOKING OPTIONS tab and define your booking duration. Fixed blocks have a set duration that you define. The customer can only choose one block which will last the defined amount of time. For example ‘Drum Lessons with Adam Sanders’ lasts one hour and you can only book one at a time. Customer-defined blocks have a set duration, but the customer can choose how many blocks they want. For example, your lessons are booked in 30-minutes intervals, and the customer can define how many 30-minutes blocks they would like to book. If you set your Booking duration to be customer defined, you can include a minimum and maximum allowed value in the General tab. This allows for a more flexible starting schedule. You can define 30-minute blocks and set the minimum to 2 blocks and maximum of 4. 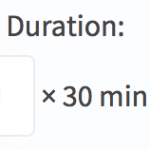 Your customers now need to book at least one hour, and can add increments of 30 minutes. A booking can be set in blocks using minutes, hours, days, weeks and months. If using hours and minutes, you can specify what time the bookings starts. 4. Optional: Click on the PURCHASE NOTE tab and define the message you want to send to your customer after the purchase of your lesson. 5. 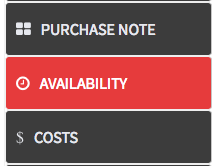 Click on the AVAILABILITY tab and define what slots can be booked. First/Last block bookable into the future: If it is 1:00 pm and you set first block bookable to 2 hours into the future, then the first block a customer could book would be 3:00 pm. The same applies to the last block bookable. Require a buffer period between bookings*: Based on the unit of time previously set the booking duration (in this current example set in minutes), you can specify a period of time after a confirmed booking that is unavailable for anyone else to book. For example, if you offer In-home music lessons in 30-minutes blocks and wish to have a break of 1 hour between lessons to be able to commute or just take a break, you can specify a buffer period of 60 minutes. If you prefer to add a buffer period before and after your lessons, tick the Adjacent Buffering checkbox. 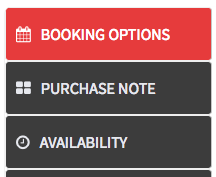 This option adds the specified block both before and after each booking. Then, defining a buffer period of 60 minutes between booking with adjacent buffering will result into 2 hours between bookings. *Note: Buffer periods are always defined in the same time measurement (minutes, hours or days) chosen for blocks. If you want to have a 30-minute buffer between your 1-hour lessons, be sure to use 60-minute blocks instead of 1-hour blocks. Rules*: You can set up specific availability rules, such as availability for day of the week, time and specific dates. To add a new rule, click the ¨+¨ button. A new row will be created, where you can choose a range type, From/To, whether it’s bookable or not (yes or no) and a priority number. These rules make bookings available every Thursday from 8:30 am to 1:30 pm daily and from 3:00 pm to 8:30 pm. *Note: Time ranges are not opening hours, but booking hours. 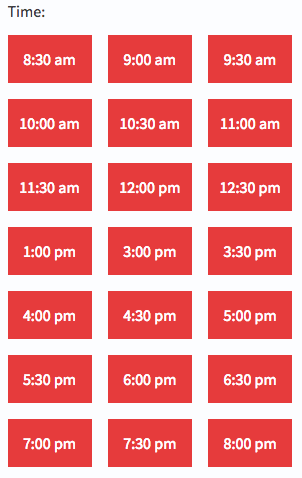 If you offer 30-minutes time blocks and your service is available from 8:30 am to 1:30 pm, your last booking is at 1:00 pm, not 1:30 pm. Priority Rules: You can change the priority of each rule using the priority numbers. A lower priority number overrides any other higher priority number. For example, a 9 will always override 10. If multiple rows have the same priority, the rules higher on the list will take priority. 6. 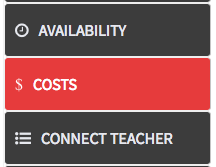 Click on the COSTS tab and define the price of your lesson. Block cost is the cost per block assigned. If a customer books multiple blocks, this cost is multiplied by the number of blocks booked. Block cost can be added, subtracted, multiplied or divided by the amount you enter. You can also directly set the costs applied for the rule. Rows can be removed by clicking the X on the far right. This configuration charges a block cost of 100, but between Dec. 23 – Jan. 1, there is an extra fee of 20 if bookings are between 5:00-9:00 pm. Note that In the case of adding more than one rule, if multiple rules match all additional costs are used. 7. 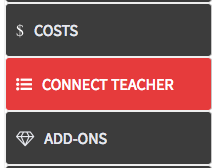 Click on the CONNECT TEACHER tab and associate your teacher profile page with your offered lesson to start offering your services! 8. Click on the ADD-ONS tab to create additional personalization options. Additional Custom Price Input – shows a field where users can enter a numerical value that is added to the product price. Additional Price Multiplier – shows a spinner where users can input a number, i.e. quantity. Checkboxes – shows a checkbox or checkboxes that can be ticked/unticked by a customer. 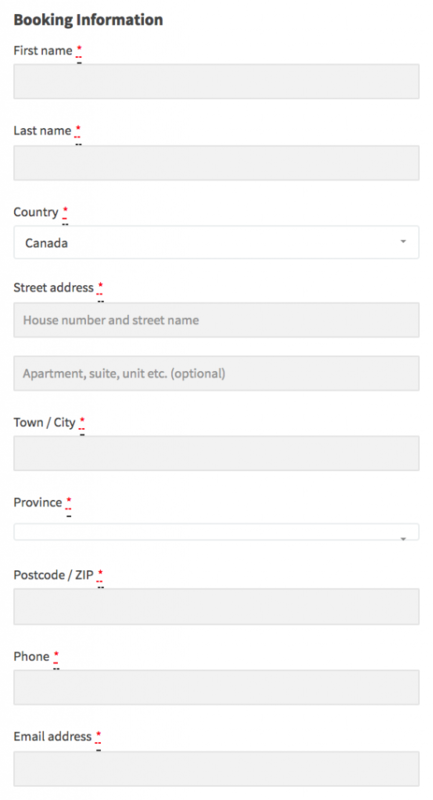 Custom input (text area) – shows a text field where users can write multiple lines of text (character limit possible). File upload – allows users to upload a file. Radio buttons – shows a radio button or radio buttons from which the user can choose one. Select box – shows a dropdown list of options from which the user can select one. Other Options– There are five inbuilt types where users can enter either any text; only letters; only numbers; only letters and numbers; or an email address only. Name – Name of your add-on group. Displayed on the product page above any fields you add to the group. Description – Describe the add-on. Shown beneath the group name on the frontend. Required fields? – Check this box if the add-on requires a value/selection. Below these settings, you can add options. 2) Under Option Label, enter text for the Label (required) and set a price (optional). Some field types have other properties, such as minimum allowed value and maximum allowed value. 3) Submit the product to save. To remove an option row, click the ‘X’. Finally, click on DRAFT if you want to save your changes without publishing your lesson yet, or select SUBMIT FOR REVIEW if you feel ready to publish your lesson! Once we review your lesson you will receive an email with a link to the approved lesson. In case you were not approved, an email will be sent with the requirements to be approved. While waiting for your approval you can keep re-editing your lesson and see a PREVIEW of it. Have questions? If you need help setting up your lesson simply navigate to the bottom of this page and submit your request. We will process your request as soon as possible! While students are charged at the time of booking, Cleftune holds onto those funds until the service is complete. You will receive payments for lessons that you have completed at the end of every month. Is this your first time receiving payments from Cleftune? In order to receive payments from your booked lessons you need to have a Paypal Account. If you don't have one yet, you can sign up here. ATTENTION: Cleftune currently only works in provinces and territories within Canada and United States. If you decide to add a Paypal Account registered in a different country other than Canada or the United States, extra transferring fees will apply. We strongly advise you to add an American or Canadian PayPal account. 1. Navigate to your teacher dashboard by selecting your name in the upper right corner of your screen. Select Teacher Dashboard. 2. Below your profile picture, select Settings. 3. Select Payment Settings and add your PayPal email. That’s it! You are set to receive your payments at the end of every month! How can I know how much I've earned on Cleftune? 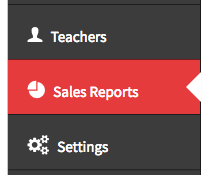 If you want to see your sales history go to the Sales Reports tab. There you can view all of your gross sales, earnings, lessons sold and refunded orders, all by day, month or year (that's important for tax purposes). Note: Earning statements do not include PayPal and Stripe gateway fees. Payments received via PayPal are released within 1-4 business days. Important: Booking and getting paid through Cleftune is required per our Terms of Service. Never accept cash or checks as payment—this can expose you to fraud, get your account flagged for suspension, and make your stays and walks ineligible for premium insurance and 24/7 support. How can I manage my bookings and view my calendar? 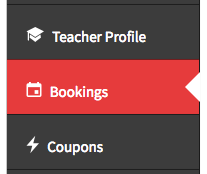 If you want to see all your bookings go to the Bookings tab located on your Teacher Dashboard. To view all your bookings in a list, select All Bookings. To view all your bookings in a calendar, select Calendar View. If you need to manually add a new booking, simply navigate to the bottom of this page and submit your request. We will process your request as soon as possible! How can I track the performance of my teacher profile? Being able to track the performance of your business is key. This way you can make continual adjustments to your teacher profile page and see how well it performs, because you're getting the feedback and data you need. You can quickly and easily monitor the activity on your teacher profile page by clicking on Teacher Stats, located in your secondary menu heading. Here you will get full access to your teacher profile page statistics like you total views and unique visitor counts for any period you like. How can I get a background check badge? 1. Click on Background Check, located in the secondary menu heading. Before starting your request, a quick question will be asked: Have you been approved? If your answer is no, be patient. Our team is currently reviewing your teacher profile and you will receive an answer soon. If your answer is yes, you can fill in the form and submit the required files. If you have more questions about our background checks process, navigate to the bottom of this page and submit your request. Students are music lovers like you. They want to know that themselves or their children will be safe and get the best education possible. That is why we recommend our music teachers to pass our background checks. We will confirm information such as your Government identification, personal profile picture and your police background check. You will receive an email with our results as soon as they're available. If you meet our requirements you will earn a Background Check badge for your teacher profile. This badge shows potential clients your commitment to earning their trust. To begin your general background check, select Background Check from your account menu. How long will it take Cleftune to review my teacher profile? Cleftunes team will review and confirm your profile within three business days. When you are approved you will receive an email notification and you will have access to your teacher dashboard. If you have not received an email from us within three days, please check your spam inbox or contact us. Do I need to be licensed to be a teacher? Cleftune requires that you follow your local laws and regulations regarding licensing and other requirements. Requirements vary by location, so it’s a good idea to check your local regulations. If you have more questions about teachers licensing, navigate to the bottom of this page and submit your request. Can I promote my profile on Craigslist or any other platform? Our main goal at Cleftune is to save you time and money in advertising costs. No more webhosting, printing flyers and spending the time client hunting. However, platforms like Craigslist are a great tool for attracting new students and getting them excited about your music teaching business on Cleftune. A complete profile: If you have an up to date and complete profile students will be able to learn more about you and gain trust with you before booking. Make sure you choose a clear photo, complete your bio and location and post any external professional links or videos. Promotional video: We highly recommend including a short video in your teacher profile page introducing yourself and showing off some of your skills and teaching styles. Timely response: Do your best to respond to requests as soon as possible. If students do not hear back from you within a reasonable amount of time they may look to book with another teacher. Accurate calendar: Make sure you keep your calendar up to date. This will allow students to match with your schedule as best as possible. If your calendar is not up to date you may have to turn down clients. Lessons: Providing students with outstanding lessons will make them return, book more lessons and leave great reviews about you! Make sure to prepare for each lesson so you are always challenging and meeting your students needs. We hope it never happens, but in case an emergency arises—such as an injured or sick student—call 911 to report it immediately. Follow up with Cleftune's team at +1 437 345 6743 so we can help resolve it as quickly as possible. 24/7 Support: Cleftune's team is standing by to help you if an emergency arises. Phone us the moment you need us, at +1 437 345 6743. How can I get and request verified reviews? Students will be able to write a review on your profile once a lesson has been purchased. We will contact them by email reminding them to write a review, but we also encourage you to follow up with them after the lesson to see how they liked the lesson and ask them if they have any suggestions. At this time would be a great opportunity to ask them to leave a positive review! Having positive reviews will show, potential students that you are a good and trustworthy teacher. This will increase the likelihood of new students contacting you! Navigate to your teacher profile page by clicking on the View button located at your Teacher Profile section of your Teacher Dashboard. 2. Select the Request Testimonials button at the bottom of your teacher profile page. 3. Either enter the email addresses of former students you'd like to send testimonial requests. Cleftune Tip: Make sure to leave no spaces after you enter an email address or you will get an error message. How can I reply or report my reviews? Verified reviews are a big part of what makes Cleftune a community that students trust. With that in mind, reviews can’t be removed—but you can respond or report to any reviews you receive. If you decide to reply, use this as an opportunity to show future students how trustworthy, friendly, and genuine you can be. You can turn a negative review into something positive and even attract new clients by responding in a professional way. Navigate to your profile by selecting your name in the upper right corner of the screen. Under your account menu select Teacher Reviews. To report a review: select the Report button. You’re all set—we will receive an email and review your request. You can check out our review policy here. To reply a review: click on your teacher profile name to see the review you’re responding to. Click on the Speech Bubbles, enter your response and select Submit Reply. Can I decide my rates? The price you charge students for each lesson you offer through Cleftune is up to you. Note: Rates updated through your profile will only apply to future bookings. If you’re currently discussing a price change with a client, you’ll need to edit the service price within your conversation with that client. Teaching music is a great way to gain extra income. When setting your rates you must include taxes in your price. Cleftune does not add taxes on the price you charge students. In most provinces and states teaching music is a taxable service. Make sure to set the price of your lesson to cover the income taxes you are required to pay depending on your location. Cleftune will provide you with your total earnings making it easier for you to file your taxes. While we cannot provide tax advice we do recommend you contacting a tax professional before you start teaching lessons. Cleftune is not a tax advisor and cannot provide advice about taxes, income reporting, or unemployment. Whether a resident of Canada or the United States, you are responsible for complying with all applicable laws related to reporting income. We encourage you to consult with a tax advisor to better understand your requirements. What if I receive payments through PayPal? If you are a US resident and receive payments through PayPal, they will send your tax documentation in based on their own tax reporting practices. You can find out more information at How does PayPal report my sales to the IRS? Will I receive a 1099 tax statement? If you are a Canadian resident Paypal will not send you any documentation. You are responsible for filing your taxes in accordance to your provincial legislation. How do students book and pay for a lesson? Safe and secure payments. Our payment platform is designed to protect credit card and personal information through standard encryption measures. Paying through Cleftune is cashless, convenient, and keeps your personal details safe and secure. Accepting payments or paying outside of our system can put you at risk for fraud. Simple and effective messaging. When you communicate with clients through Cleftune, you have our built-in security features. You can book lessons, schedule appointments, and get paid securely, all through Cleftune. Cancellation policy and Reservation Guarantee. Paying through Cleftune means your booking will be covered by our cancellation policy and reservation guarantee. Cleftune exists to be the ultimate solution for music teachers and students, and that includes offering a secure, convenient, and cashless way to pay for music lessons. 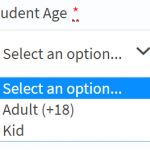 How can a student book a lesson if they are under 18? You must be at least 18 years old and able to enter into legally binding contracts to access and register your Cleftune account. By accessing or using the Cleftune platform you represent and warrant that you are 18 years old or older and have the legal capacity and authority to enter into a contract. If you are under the age of 18, your legal parent or guardian is responsible for booking your lessons. A legal parent or guardian of the students must be present at all lessons. No person under the age of 18 is eligible to be a teacher. How can I book a lesson for my children? To book lessons for a person under 18 you must be their legal parent or guardian. You will be required to upload the required verification during the account set up that pertains to you. A legal parent or guardian of the student must be present at the lesson at all time. We recommend that you upload basic information about your child during the account set up, so potential teachers can see if they would be a good instructor for your child. What if my teacher cancel a booked lesson? Reschedule the lesson with your teacher to a later date. The teacher will initiate a cancellation and you will receive a full refund to your account. You are covered by our reservation guarantee. In case your teacher cannot provide lessons for an extended period of time, we’ll do everything we can to help find you a replacement teacher. Check out our reservation guarantee page and Terms of Service for more detailed information. What if a student cancel a booked lesson? Sometimes plans change and your student may need to cancel a lesson before it’s begun. No problem—all you need to do is to choose from one of the three standardized cancellation policies (Flexible, Moderate, and Strict). Depending on the date of the cancellation and the type of policy you chose, your student may be entitled to a full or partial refund. How can a student cancel a booking? We get it: Sometimes plans change and you may need to cancel a lesson before it’s begun. No problem—you can do this all within your Cleftune account. Before cancelling, make sure you know your teacher’s cancellation policy. Depending on the date of the cancellation and your teacher’s policy, you may be entitled to a full or partial refund. You can find out what policy your teacher has in place by visiting their teacher profile page. To cancel a booking simply navigate to the top right corner of the screen and locate your mouse on top of your name. A drop down menu will appear where you will click My Bookings. Here you will be able to cancel your booking by simply clicking on the Cancel button. We will review your request and if the teacher cancellation policy allows us to, we will process the correspondent refund. Have more questions? Navigate to the bottom of this page and submit your request. How can a teacher cancel a booking? If you want to cancel a booking simply send us a message. Navigate to the bottom of this page and submit your request. How can a student ask for a refund? If you are not satisfied with your lesson please contact us. We cannot guarantee a refund but we are willing to work with you to find a solution. A refund will only be given if the teacher fails to provide a music lesson in any form. We recommend you communicate with your teacher and outline your learning objectives, skill level and goals. This will allow the teacher to decide if they feel they are competent enough to provide you a valuable service. What if a student or a teacher suggest to do the payment directly, not through the Cleftune site? Paying and communicating through Cleftune is essential to ensuring a safe and secure experience. In fact, it's so important to everyone's security that we made it a requirement in our Terms of Service. Beyond being a requirement, when a payment takes place outside of Cleftune, we won't have a record of it. That means your booking won't be covered by our cancellation policy, reservation guarantee or our 24/7 support team. Accepting payments outside of Cleftune could also lead to account suspensions for both the teacher and the student. So, if someone asks to pay you directly—whether that’s via check, cash, wire transfer, or a payment website other than Cleftune—say no and remind them that paying through Cleftune keeps everyone’s information secure. Holidays are a busy time for everyone, students and teachers alike. Teachers rates may be slightly higher during these in-demand times of the year. Cleftune accepts payments through Paypal or through any major credit or debit card. We do not accept cash or cheque. This is to protect students and teachers. Where can I find a receipt/invoice for my booking? If you would like to receive a receipt/invoice after your booking has been completed, navigate to the bottom of this page and submit your request. We will process your request as soon as possible! Where can I review my booking history? 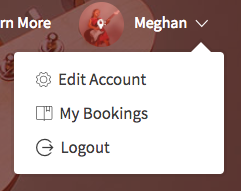 To review your booking history, go to your account menu and click on My Bookings button. If you have not booked a lesson yet, you will not be able to access this information. Should I tip my teacher? Booking a lesson through Cleftune will always be cashless and convenient. Your teacher sets their own rates and your credit card is debited when you book, so there’s no need to tip. That said, if you’d like to offer them a tip, you’re perfectly welcome to. Just know that it’s never expected or required. Want to show your teacher how much you appreciate them? Leave them a review on Cleftune. Reviews are easy to write and help teachers grow their business. How can I leave a review? Click here. Why book and pay through Cleftune? Simple and effective messaging. When you communicate with clients through Cleftune, you have the peace of mind of our built-in security features. Plus, it’s easy to use—you can book services, work out stay details, schedule meetings, and get paid securely, all through Cleftune. How does the teacher profile review process work? Every teacher profile is manually reviewed by the Cleftune team. We evaluate each profile to determine whether it meets our unique set of quality standards. If we decide the teacher is a good fit for Cleftune, we will approve their profile, and they can begin receiving student requests. Finding teachers who are the right fit for Cleftune is something we take very seriously. We do everything to provide the best service and for that reason the approval decision is final and cannot be appealed. How does Cleftune evaluate teachers? Information provided by every teacher who lists their services on Cleftune is individually reviewed by Cleftune. Teachers, who must be at least 18 years old, build a profile with details about their teaching experience and request testimonials. That information then undergoes a thorough review by the Cleftune team. Verified reviews from students like you. We recommend scheduling an in-person or online meeting so you can get a feel of your potential teacher before booking the lesson. What does Cleftune do to support safety? 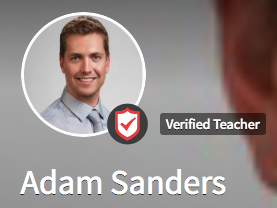 Detailed teacher profiles with verified reviews by students like you. Security background checks required for every teacher. A 24/7 support team available to help you at any time. A verified teacher has successfully passed our background check. Their social security number, name, and address match. 2 pieces of Identification with a matching recent photograph. To learn more visit our Cleftune Background Check page. What is the student reservation guarantee? If the teacher you booked has to cancel at the last minute, we’ll work with you to find a new teacher. For more information, read our our reservation guarantee page and Terms of Service. What is the teacher cancellation policy? 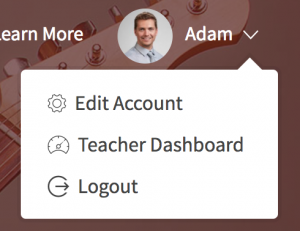 As a teacher on Cleftune, you have the freedom to customize your business. Part of that includes choosing your cancellation policy. What information does Cleftune share? Cleftune is committed to establishing a safe, worry-free service that protects the privacy of teachers and students. Even after the service has been booked, Cleftune maintains a strict policy. A teacher’s address will only be displayed if the service is scheduled to take place at the teacher’s preferred location. Someone suggests you pay in-person rather than through the site. Booking and paying through Cleftune is the only way to ensure your account is in line with our Terms of Service and that your booking is covered by our reservation guarantee, cancellation policy and 24/7 emergency support. Someone asks you to provide personal information. You should never feel pressured to share your mailing address, phone number, or any other personal information before a stay is booked. An student/teacher mentions contacting you through another account. Teachers or students should only have one account on Cleftune, and having multiple accounts is a sign of fraud. Someone tries to recruit you for a private music teaching business. Only services booked through Cleftune qualify for 24/7 emergency support, cancellation policy, teacher promotion tools and more resources to help teachers build their business. What are the Cleftune Terms of Service? Whether you’re a teacher or student, it’s a good idea to read and understand the Cleftune Terms of Service. Make sure you review and understand the Terms of Service before using our services. We’ve received your message and we’ll be in touch soon. Thank you for you message, your feedback will help us grow our community!